HomeBlogHead LiceAre my animals infested with head lice? As a parent, you are probably familiar with head lice. Even if your kids have not had an outbreak of these small, parasitic bugs that make a home for themselves on your scalp, you probably know of some parents who have had to deal with this problem. One thing you may be wondering about is whether lice can spread from your family dog or cat to the kids or vice versa. Lice can be enough of an issue for parents such as yourself without having to worry about your kids being able to catch them from the family pet. Don’t worry about it. Lice are not able to spread between species. There are lice that are specific to dogs and other lice that afflict cats. You may not have realized this since the most common pests a cat or dog owner typically has to worry about are fleas. 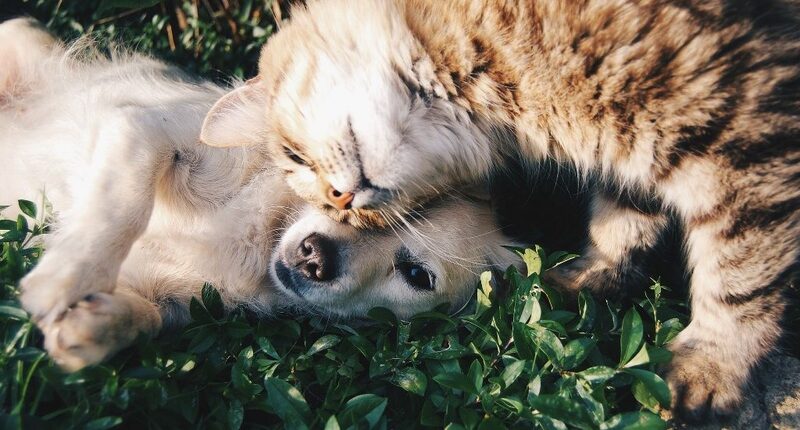 That said, dog or cat lice infestations are fairly rare and usually only occur on such animals that are in poor health due to malnutrition or improper care. If lice from a dog or cat were somehow to find their way onto one of your kids, they wouldn’t stay there because they can’t survive off human blood just as lice that humans catch can’t live off of dog or cat blood. Pet lice fall into the dual categories of chewing or blood sucking. The chewing variety lives on the dead skin of your pet as opposed to their blood. Pets with lice will scratch a lot, which is also a common symptom when they have fleas. Your vet can give you a definitive diagnosis as to whether they have lice or some other problem. They can also help you treat the lice, which are typically easier to treat than fleas. While pets in good shape are unlikely to get lice, there are about 6 to 12 million cases of human lice infestations each year in the U.S. according to the Centers for Disease Control. This means there’s a good chance that you, as a parent, may have to deal with this issue at some point. Some parents may believe that either seeing the doctor for treatment or going to the store and buying a lice shampoo are their only options. Seeing a doctor can be expensive, however, and the toxins in lice shampoos have been overused for years, which is why many lice are now immune to them. This is where our professional, kid-friendly head lice removal salon, Lice Lifters of Palm Beach Gardens, comes into the picture to save the day. Best of all, our safe, affordable and effective head lice treatment process is recommended by many pediatricians and school nurses. When you bring in any children you suspect of having lice, our certified lice technicians will start by doing a lice head check. If their presence is verified, we then do a meticulous comb-out using a special lice comb. Any lice or nits lucky enough to escape the comb then have their hopes dashed as the final step in our head lice treatment is the application of our 100 percent safe and natural killing solution that finishes off any stragglers. If you suspect any family member has this problem, please contact our head lice removal salon today, so we can give your loved ones a lice head check and then get them lice free in a single visit.